Are You Debating the Best Time to Take Your Social Security Benefits? There is much debate as to when is the right age to retire. While many people dream of an early retirement, filing and drawing on Social Security early will result in a smaller payment over a potentially longer period of time. The consensus is that the longer you can wait to draw on Social Security payments, the bigger your payments will be. But there is a lot more to it than just that. Let’s face it. After being told for years that Social Security is “going broke,” baby boomer are realizing that it will soon be their turn to collect, but the decisions you make now can have a tremendous impact on the total amount of benefits you stand to receive over your lifetime. This is why we would like you to join us to learn the facts about your retirement income plan and get answers to the following questions. How do you know when, and how, you should take your Social Security retirement benefits? Will Social Security even be there for you in the future? Are your Social Security benefits properly coordinated with your other retirement benefits to create a viable and lasting income strategy? Is it really possible for a divorcee or a married couple to increase their Social Security benefits by potentially tens of thousands of dollars, if they know “the system”? Social Security represents a potentially significant asset for your retirement. But in order to get the most out of it, you need to know the rules. Unfortunately, the government will not tell you how. You have to learn how to best utilize your Social Security benefits on your own. And this is why we invite you to sit down with one of our Social Security experts and learn how to maximize your benefits. 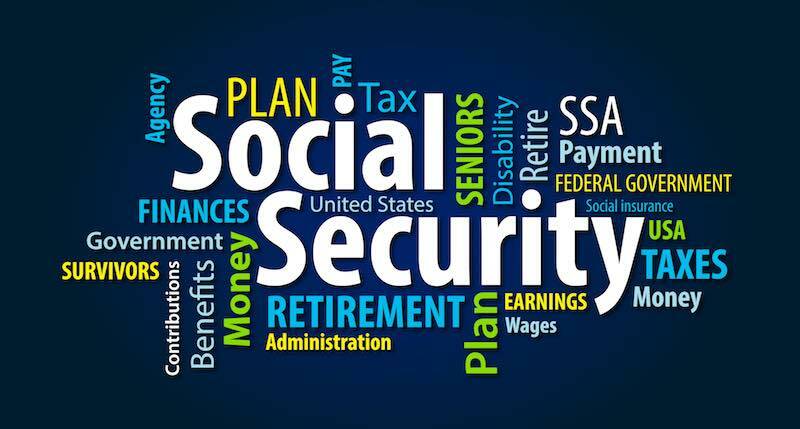 Our Social Security Specialists can walk you through your specific financial picture and the options that you may have to optimize your Social Security benefits, including any benefits available through a current or ex-spouse or partner. Get a complimentary Social Security Maximization analysis.